Lupita is hella fine but this picture is not mine. And now, at coffee shops and in grocery store lines all across mid-America I have to overhear conversations about how…well, you know, drop dead gorgeous Lupita Nyong’o is. Lupita Nyong’o is best known for her role in 12 Years a Slave. Lupita is a Brooklyn transplant born in Mexico City to Kenyan parents. She studied at Yale School of Drama and like President Obama, she is of Luo ancestry. And yes, she is drop dead gorgeous. But why is mainstream media so surprised that she’s so goddamn fine? You know, it’s that racist, patriarchal, capitalist (thanks, bell) unconscious attitude that frames even how we process how we see obviously beautiful people. Lupita is obviously beautiful. Seeing her shouldn’t send your mind into a surprisingly and unexpected reaction of lust. Because she was already lust worthy before you got here. The image of her deep dark skin, button nose, slim frame, short natural (most times) hair and wide eyes, is now sending imperialists into a mental juxtaposition of wanting to re-adjust their feminization of beauty (because, it’s been clearly challenged) and wanting to openly validate it in this post-racial America. Save it. Seeing the objectification of feminized celebrity for what it is would have freed you from feeling ‘some type of way’ about Lupita’s beauty. Our unconscious commitment to mainstream media’s current polite acceptance of Lupita Nygon’o as a thing, a beautiful thing to be openly seen, has us thinking we’ve moved passed our patronizing relationship with dark skin as an occasional beauty marker. We haven’t. Beauty is so intertwined with celebrity and ones success at times it is painfully trapped in the identification of “gorgeous.” Our standards of beauty as an Eurocentric culture has always allowed us one. Or maybe a couple. We always get a Kelly Rowland. We can get by with a Tika Sumpter. We can cruise into a movie and applaud even a Gabourey Sidbie. And don’t you just love Gabrielle Union in Being Mary Jane? Our deep dark skin always conveys this dangerous superhuman message that we are exclusively strong and almost secondarily beautiful. As if the two can’t occupy the same space. Insert the instant shock. I’m very happy Lupita is being celebrated as another example of the beauty of humans. But I am not at all grateful for mainstream media’s shock given the ideological terrain on which they operate from is inculcated with the premise that deep dark skin is ugly. But let me just be all the way real and tell you why these jaw dropping, lustful eyes don’t bring me to tears of validation. Despite the more negative qualities we have been conditioned to associate with being of African descent, the media manages to go through phases of highlighting black as beautiful. But doesn’t it seem so forced right now? Like beauty affirmative action. Some mainstream magazines are calling it Lupita’s style. Some blogs are raving about her “unique beauty.” And some pundits are just acting like the rude tourists gawking at ‘round the way girls on subway trains. Speechless and paternalistic admiration. Standards of beauty in this country are obviously flawed in concept and application, so quite naturally seeing someone who doesn’t actually meet that standard but appeal to you anyway sends you in to shock. Stay shocked. It sends folks into ideas of otherness, objectification, and wonders of foreignness. Lupita is not some unique, need to be gawked at creature. She is not seeking public paternalistic validation. There are countries full of Lupitas, and Gaboureys and Tikas. THIS country to be exact. And yes, yes she is BEAUTIFUL. For so many reasons, the term ‘good hair’ has gone out of style and fallen out of favor. Not only with educated Black folk, but also with many folk who are ‘educated’ in non-formal, non-debt inducing ways. Lots of folks agree that using that phrase is divisive and problematic. 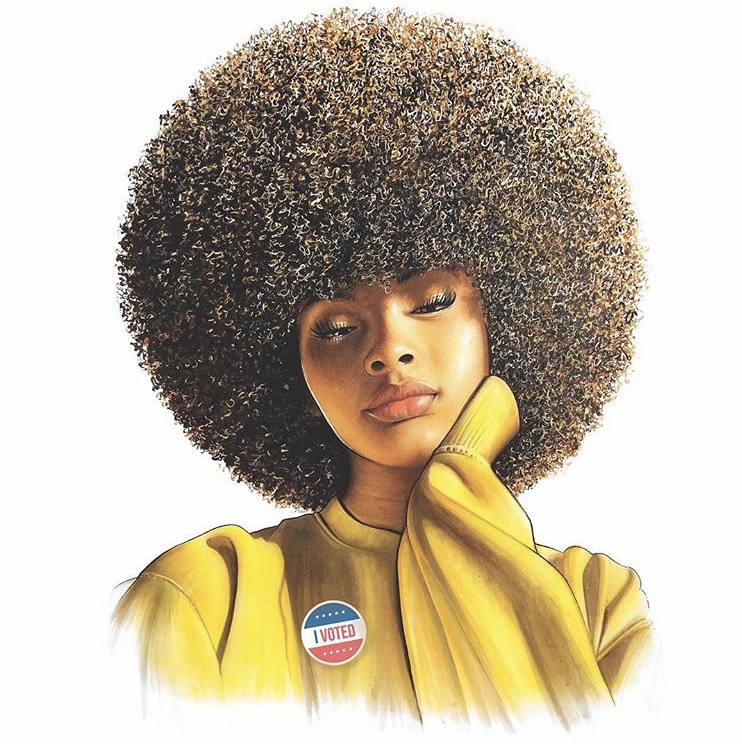 For anyone who has taken a course in Africana Studies, one may know that the term “good hair” sends a sting down many Black folks' spine as a familiar historical phrase that denotes a particular kind of respectable texture….